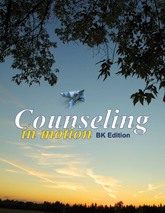 Counseling in Motion, BK Edition is an interactive program that lets you work at your own pace as you go through the information and activities. You’ll get the facts about bankruptcy. Counseling in Motion, BK Edition (CIMBK) gives you an overview of bankruptcy, including the professionals involved, documents you’ll need to provide your attorney, means tests, debts that can be discharged in bankruptcy, and frequently asked questions about bankruptcy. You’ll pinpoint the factors that caused you to consider bankruptcy. Often, people choose to file bankruptcy after trying to cope with multiple hardships that led to financial problems. You’ll identify the events or factors that have affected your finances to the point that you are considering bankruptcy. Interactive forms allow you to itemize your debts and assets. You’ll list all the credit cards, loans, etc., you have, and the assets you own, so you have a clearer idea of how many debts you have, how much you owe, and the resources you might have to help you pay your debts. List your monthly bills and expenses. A section of Counseling in Motion, BK Edition asks you to list your monthly bills and expenses so you can identify exactly what you spend money on each month. Interact with a counselor who can help you develop a realistic spending plan. By listing your debts, assets and budget, your counselor has information so that he/she can create a spending plan for you that might help you reduce your spending and pay off debts. Q.) Is the Counseling in Motion, BK Edition (CIMBK) system approved by the EOUST? A.) All bankruptcy counseling applications that have included the CIMBK system have been approved. Here at the American Center for Credit Education (ACCE), our staff has extensive knowledge of the approval process and will provide complete application assistance for your agency. Q.) How long does it take to complete the online program? Is there a minimum time required? A.) By law, the online counseling session should last between 60 and 90 minutes. The average time that a CIMBK client and his or her counselor spend in the program is within that range. The CIMBK tracking system records a client’s time in his or her file. There are screens for the counselor that include a place for agency time to be added. The total for the client and the agency are displayed in the client’s file. The student is not required to spend a minimum amount of time online. Q.) Can the CIMBK system collect and communicate the financial information from the ACCE system to another agency’s Debt Management Program (DMP) software? How long does the data stay in the ACCE system? A.) CIMBK and its companion pre-discharge bankruptcy education program, Money in Motion (MIM), are intended to be a “stand-alone” bankruptcy solution. Information is not transferred to agencies’ DMP software. The CIMBK software communicates with the MIM software, which eliminates the need to enter clients into both systems. You should not have to track your bankruptcy clients in any other system. Currently, clients’ data remains in the CIMBK system indefinitely. If, at some future time, the system becomes sluggish because of excessive records, ACCE will archive the oldest data after notifying your agency. The archives would be available to your agency. Q. Can husbands and wives who enroll in CIMBK take the program jointly? A. Yes. If they are both filing bankruptcy and are both living in the same house, they are encouraged to take the program together. By taking the program together, they will provide a more accurate description of their financial situation. By taking the program separately, they might both list their house payment as one of their expenses, for example, and provide an inaccurate list of expenses in the budget section of CIMBK. Q. Is the CIMBK program completely automated, or does an agency’s counselor need to communicate with the client? The system is completely automated to provide an online delivery. However, the EOUST requires that a counselor communicate directly with the client at some time during the process. The communication can be by phone, by e-mail or live chat. Phone is the preferred method, but e-mail is acceptable. CIMBK does not include a live chat feature. Q. Our agency is an approved CIMBK provider. Can we set up a payment link that allows our clients to purchase the program and start it right away? A. Yes, there are several payment options your agency can use. Vanco, PayPal and other payment links have been used to automate the sale and registration process.